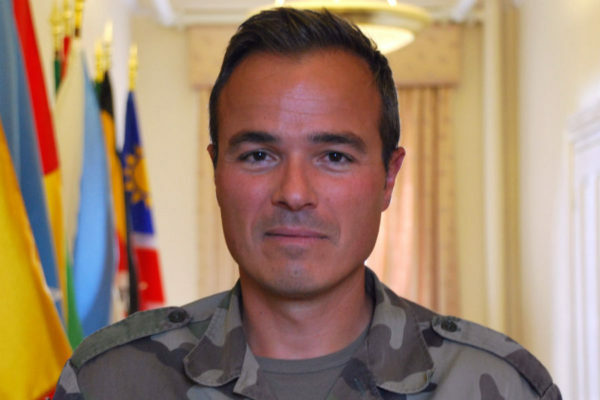 As senior French representative, Lieutenant Colonel Jean-Baptiste Matton serves as a liaison between the Africa Center and the French Ministry of Defense, coordinating exchanges on security-related Africa policy and scholarship. He also serves as a facilitator and speaker at Africa Center academic programs. LtC Matton also serves as the French liaison officer in the Transregional Threat Coordination Cell for the Joint Staff at the Pentagon in charge of the estimates, strategy, and plans section. LtC Matton specializes in military coalition and peacekeeping operations in Africa, the Balkans, and Afghanistan and has substantial experience in training and team management under challenging conditions. Prior to joining the Africa Center, LtC Matton served as executive assistant to the head of the Department of International Military Affairs at the Joint Staff College in Paris. From 2014 to 2016, he was the chief of operations for the 28th Intel Battalion in Issoire, France, which included a six-month deployment to Chad, Mali, Mauritania, and Niger. Additionally, LtC Matton has served as a J3 staff officer deployed to the Kapisa Valley in Afghanistan, company commander at Saint-Maixent-l’Ecole, company commander of a Marine Corps regiment in French Guyana, and platoon leader at the Military Academy of Saint-Cyr and at Agen. He served tours in the former Yugoslavia in 2001 and Kosovo in 2003 under NATO command. LtC Matton holds a degree in economics from the Sorbonne University in Paris, an M.A. in international affairs from Saint-Cyr, an M.A. in strategy and international affairs from the Joint Staff College in Paris, and an M.A. in international affairs from the American University of Paris.